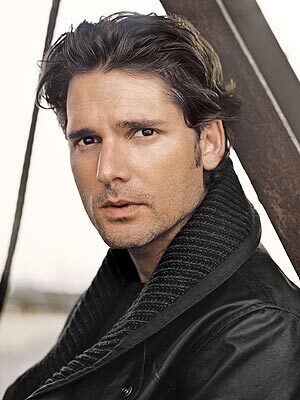 Eric Bana will star as con man/stalker John Meehan in the Bravo true-crime series "Dirty John," now filming in Long Beach. Hollywood is in the midst of a 15-day shoot in Long Beach making our middle-class beach town into a snootier and swanker Balboa Island area of Newport Beach. The upcoming true-crime Bravo network series, “Dirty John,” is based on the L.A. Times’ 2017 podcast and print series about the twisted and bizarre saga of a Newport Beach single mom and her lover-turned-stalker. Simple filmonomics shows that Long Beach, being within the film studios’ 30-mile zone (TMZ), is a much more profitable area in which to shoot than Newport, so, once again, our city gets to show off its acting chops. Naturally, in order to bring the highest level of verisimilitude to the role, Long Beach is putting on its finest face and offering up an Alamitos Bay front Naples residence to play the home of Debra Newell, the Newport Beach/Irvine woman victimized by the namesake con man John Meehan. The owners of Naples residence have been booted from their home for 15 days while Bravo films three episodes inside. Exteriors have been filmed elsewhere around the Naples waterfront, including a house that also was used for the filming of “Rosewood,” and the docks that stand in for The Strand, a higher-class (even) section of Newport Beach. On Monday, shooting will take place at the Long Beach Yacht Club. Beyond Naples, “Dirty John” crews have shot at the beautiful Ebell Club on Cerritos Avenue, and in a flashback of sorts, the ballroom of the Petroleum Club in Bixby Knolls was used for a wedding scene, and the club’s dining room is the setting for a dinner date between Newell and Meehan. Eric Bana (“Black Hawk Down,” “Munich”) stars in the title role in “Dirty John.” Connie Britton (“Friday Night Lights”) plays Newell. No air date has been announced for the series.